There are many threats facing theological education today. One is the burgeoning undergraduate debt crisis, which is causing a lot of students to stay away from graduate theological education—students who would really benefit from it both personally and in their public ministry. Another crisis in theological education today is just the devaluation of theological education. People don’t have a high regard for what graduate theological education can provide people in preparing for the pastoral ministry. There are, of course, always the perennial challenges of unbelief being propagated in theological institutions which are not committed to the inerrancy of Scripture, are not committed to classic Christian Orthodox theology, or are not committed to the great commission of our Lord Jesus Christ. That is a perennial challenge in our own time as well. Today, more seminary students come to seminary with less knowledge of the Bible and theology than ever before. But I would say this: the greatest threat to theological education that we are facing in North America today is that people would think that they can be adequately equipped for a lifetime of gospel ministry without really knowing their Bibles and without really knowing theology. We find today that more seminary students come to do graduate theological education with less knowledge of the Bible and theology than ever before. Fifty years ago when students came, they’d read through the Bible many times, they’d memorized a lot of the Bible, they’d done their catechisms, and they’d been schooled in theology in their home churches. Today’s churches and the churches of the last 50 years have not been equipping people in the same way with a knowledge of the Bible and theology. So, if people who know less Bible and less theology think that knowing more Bible and more theology is irrelevant to ministry, we’re in trouble. That’s one reason why Reformed Theological Seminary is committed to reaching out and partnering with churches and ministry to give the most robust theological education possible in the Bible and theology. 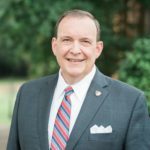 Ligon Duncan (MDiv, Covenant Theological Seminary; PhD, University of Edinburgh) is the Chancellor & CEO of Reformed Theological Seminary and the John E. Richards Professor of Systematic and Historical Theology. He has authored, co-authored, edited, or contributed to numerous books. You can follow him on Twitter.